Foles will try to get TE Zach Ertz (86) involved early; he was unstoppable against the Vikings. Indeed, the Eagles have three tight ends they are comfortable going to, including Brent Celek (87) and Trey Burton (88). That places an onus on safeties Devin McCourty (32), as reliable as any player at that position in the league, and Patrick Chung (23). Philadelphia's wideouts supposedly were a weakness heading into the season. Not quite. Alshon Jeffery (17) is a clear No. 1 target with excellent hands and the ability to get open all over the field. That frees up vastly improved Nelson Agholor (13) and veteran Torrey Smith (82). They will challenge the Patriots' solid cornerbacks, Malcolm Butler (21) and Stephon Gilmore (24). New England's defensive backs will need a bolstered pass rush, something the Patriots manufacture with a variety of players, from Trey Flowers (98) to Geneo Grissom (96) to Lawrence Guy (93) to rookie Adam Butler (70) to the rejuvenated LB James Harrison (92). Philly is most staunch at center with Jason Kelce (62) and right tackle with Lane Johnson (65), both All-Pros. One thing the Eagles are sure to try to keep New England's offense on the sideline is getting Jay Ajayi (36), former Patriot LeGarrette Blount (29) and rookie Corey Clement (30) some open space for runs. New England LB Kyle Van Noy (53) figures to have a busy day unless Philly falls behind. Tom Brady (12) has won five Super Bowls, four times as game MVP. Never mind that he is 40, he's playing as if he's in his prime — hey, he might be — and will test Philadelphia's versatile defense from the outset. Oddly, while Brady led the NFL with 4,577 passing yards, no QB who paced the NFL in that category has won the Super Bowl in that season, going 0-5. Brady couldn't do it, and the others were Peyton Manning, Rich Gannon, Kurt Warner and Dan Marino. It's essential that the Eagles get in Brady's face throughout. That means DLs Fletcher Cox (91), the best defensive player in this postseason, Brandon Graham (55), rookie Derek Barnett (96) and former Patriot Chris Long (56) must apply pressure. That's doable but not easy against an offensive line without any stars, but with plenty of skill. LT Nate Solder (77) and C David Andrews (60) are the key guys up front. Philly must be alert not only for all of Brady's targets — WRs Brandon Cooks (14), Danny Amendola (80), Chris Hogan (15), RBs James White (28) and Dion Lewis (33) — but for Lewis and White in the running game. Both are shifty and flexible and have Brady's trust. The Eagles' secondary, often criticized for its inconsistency, has gotten very stingy in the playoffs. Of course, CBs Ronald Darby (41), Jalen Mills (31) and Patrick Robinson (21) haven't faced this kind of offense. Patriots K Stephen Gostkowski (3) rebounded from a rough 2016 to have a strong season. He made 37 out of 40 field goals in the regular season, going 4 for 4 on kicks of 50 or more yards. He is one of the league's most clutch kickers and is third in career postseason points in NFL history. Amendola is also a threat on punt returns. He averaged 8.6 yards per return during the regular season, including a long of 40 yards, and had a big one against Jacksonville in the AFC title game. Philadelphia's Jake Elliott (4) set a postseason club record with a 53-yard field goal and has longer range than Gostkowski. But he is less reliable on extra points, having missed four. P Donnie Jones (8) ranked 17th in net average and Kenjon Barner (38) filled in nicely after Darren Sproles was injured. Barner's best punt return went for 76 yards. Philly was in attack mode from the outset against Minnesota, and that's a good reflection on Doug Pederson and his staff. Pederson knows he can't back off against New England, and defensive coordinator Jim Schwartz is known for being aggressive. Not much has to be said about a New England staff that is 5-2 in Super Bowls. A twist, not unprecedented but interesting, has both coordinators, Matt Patricia on defense and Josh McDaniels on offense, bound for head coaching spots elsewhere. Don't look for it to have any effect on this game. The Eagles have never won a Super Bowl; their previous NFL title was in 1960. 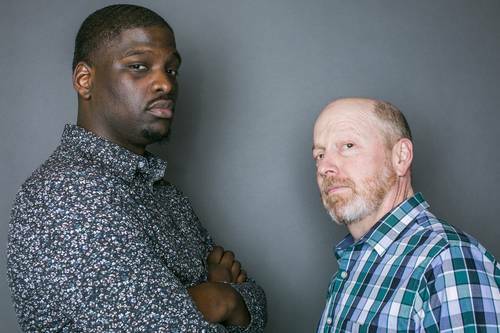 They have that extra edge that perennial underdogs — even in home playoff games as the No. 1 seed — would carry. Their confidence is soaring after they tore apart the stingiest scoring defense in the league for the conference championship. New England probably doesn't need anything in this category. But the Patriots always seem to find some extra motivation, and it usually works. 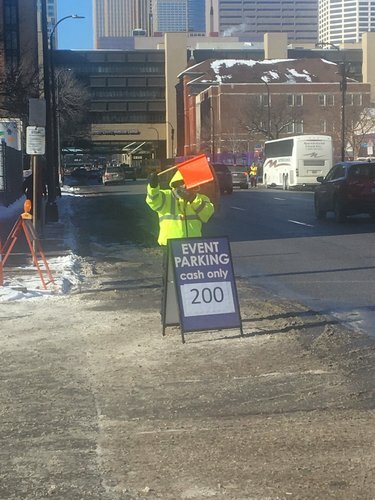 Minneapolis city officials report no major public safety incidents so far during Super Bowl week. A spokesperson at the city’s Joint Information Center reported 75 arrests between January 26 and this morning. That’s a decrease of 42 arrests over the same period last year. Get everything you need to know before kick-off, including how to stream the game for free. 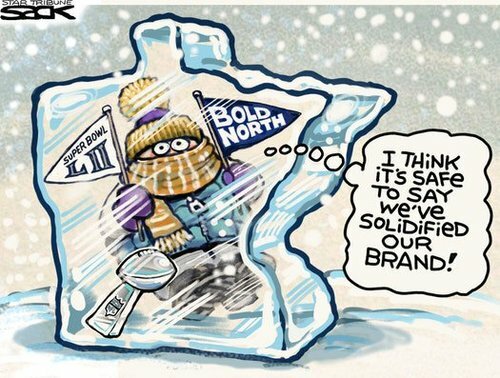 For Minnesotans with the fewest resources, a Super Bowl in subzero weather can be more than a minor disruption. 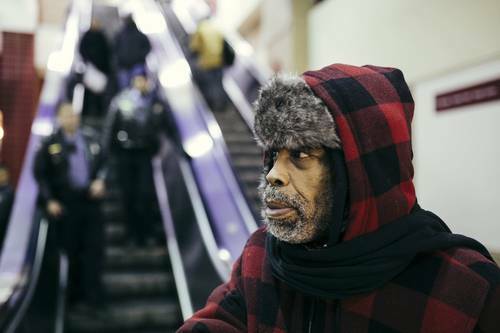 Some of downtown Minneapolis' homeless residents say the changes there are straining their coping skills. 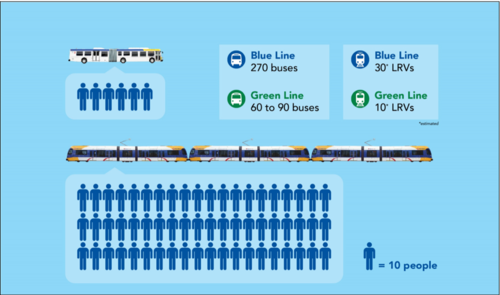 Metro LRT Vs bus graphic showing the number of people light rail can move as opposed to a Metro bus. Speaking of transportation, take a look at the Uber surges from yesterday. Sure to be worse today. Officials continue to implore everyone: Leave early and be patience. The lines are already long and growing. 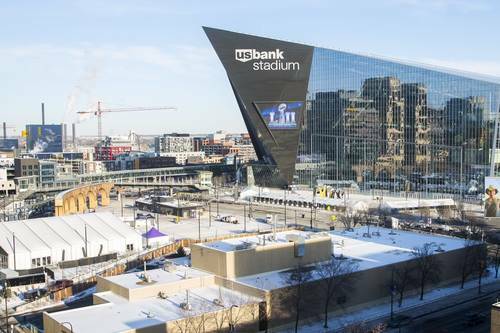 Yet another reminder on road closures around U.S. Bank Stadium. 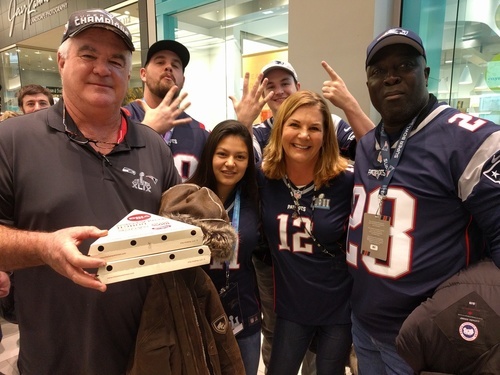 The Durkin family from Rhode Island was standing in line at the Mall of America waiting to go through security and get on the light rail to head to the stadium and they were beyond confident the Patriots were going to take another win home. Jim Durkin (pictured far left) has been to all the Super Bowl games the Patriots have played in and high praise for his Minnesota experience. "I've loved it. The Mall of America is great,'' said Durkin with his son, Jack (pictured second from left). "Everything is very organized. The airport has been great. The shuttles have been great. The trains have been great. And he added, referring to the volunteers: "All these people in blue jackets are great." They are joined by Tyrone White (pictured on the far right), the father of James White, who is a running back for the Patriots. Who are you cheering for: Team Ruff or Team Fluff? 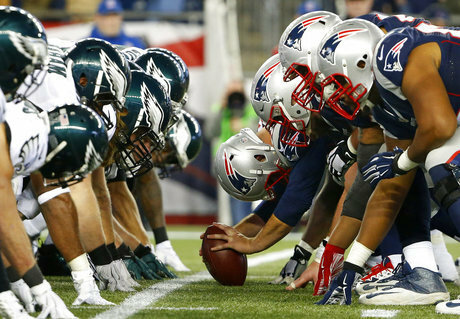 Animal Planet's much anticipated Super Bowl Sunday is kicking off at 2 p.m. CST. So break out the chips and dips for a cuteness overload. It's the 14th Puppy Bowl, with 33 shelters participating to provide animals. Most are adopted by the time the show airs. To watch: You have to have a cable log-in and subscription to watch the show on Animal Planet. Animal Planet They've come from all over the country, aiming for puppy greatness. 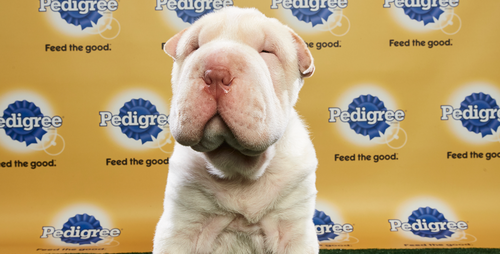 Now meet the 35 pups taking the game by storm in Puppy Bowl XIV! Eagles fan Bryan McKernan of Annapolis, Maryland is originally from Philadelphia. He and a fellow Marine got tickets to the game four days ago. They flew to Milwaukee Saturday and drove through the snow to get here. McKernan says Eagles fans get a bad rap, but they just want to win the Super Bowl for the first time. "People are hard working. They're blue collar. Not a lot of people are rich that came here, people have probably sold their whole savings to come to this game because it's that important and they're that passionate. They may come off as really rough people but they're not. They're super kind, they're super loving. They're family people, it's a big family and - just wanna win." McKernan said when the Eagles lost the Super Bowl to the Patriots in 2005, it was devastating, so they're hoping for a win today. 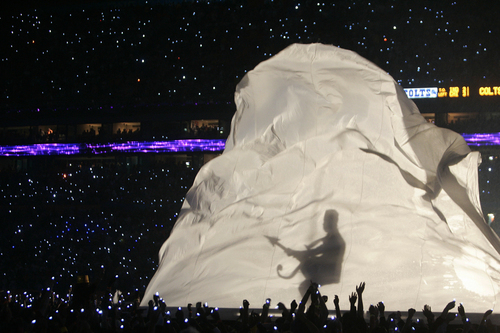 On Feb. 4, 2007, Prince took the stage at Dolphin Stadium for what would become remembered as one of the greatest Super Bowl halftime shows ever. The most infamous moment in the set was the fabric silhouette, in which Prince held his guitar in a manner that suggested…well, you know. 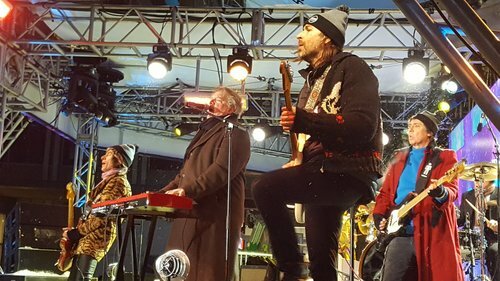 The NFL has now published a video of the halftime show, so you can revisit the performance in all its glory (with some rude interruptions by sources reminiscing about that day). This year’s Super Bowl is in Texas, and a lawmaker has introduced a resolution commemorating the anniversary.